My third child is a bit outgoing. He didn’t really talk until he was 5. Now it’s the opposite…lol. He tells everyone he meets that he has worms. 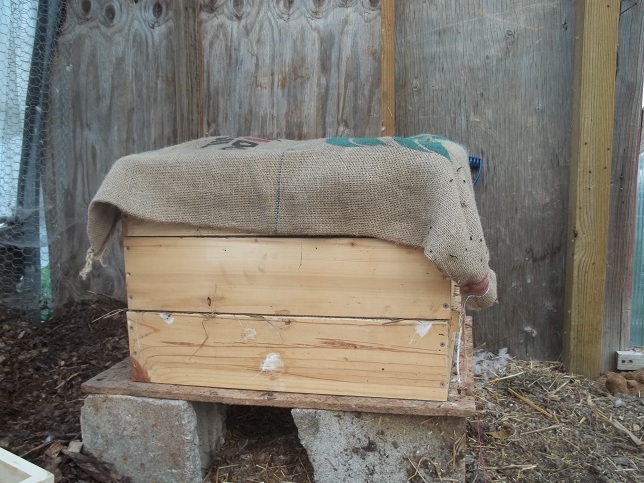 I made stacking boxes to keep worms in similar to my stacking supers on my beehives. Here’s how. Start with a 1×12. 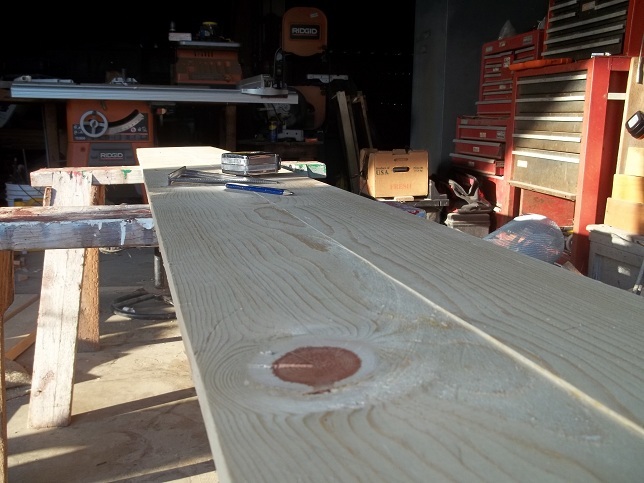 You will need to cut two lengths off of the board: 24 inches and 16.5 inches. Really, you should cut one 24.5″ and the other 17″, then trim them down and square them up. 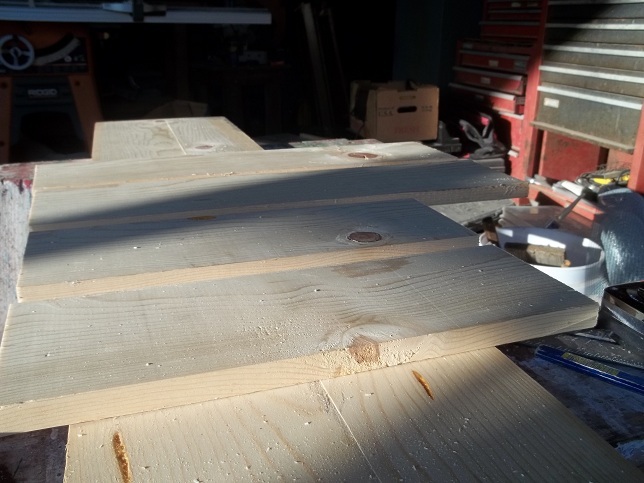 Then rip the two boards to 5.5″ wide. Now you have two pairs of boards. Screw the longer boards to the shorter boards. The result will be a box measuring 24×18. That’s big enough to hold some compost and generate a little heat but small enough that you can pick it up and carry it around. 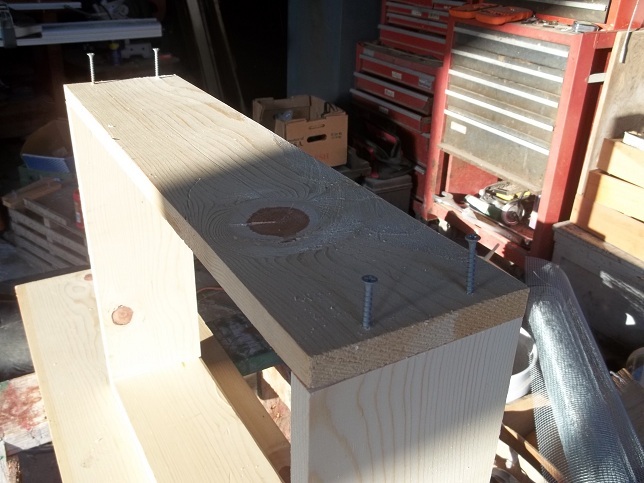 Then tack on some 1/4″ hardware cloth. This lets the worms through but keeps the compost from falling out when you carry it. Here are three boxes. I have a plywood board at the bottom and a burlap sack over the top. The burlap shades it and holds in moisture. Just use what you have laying around. Pull back the bedding, add in some kitchen scraps…whatever. We use rabbit manure. 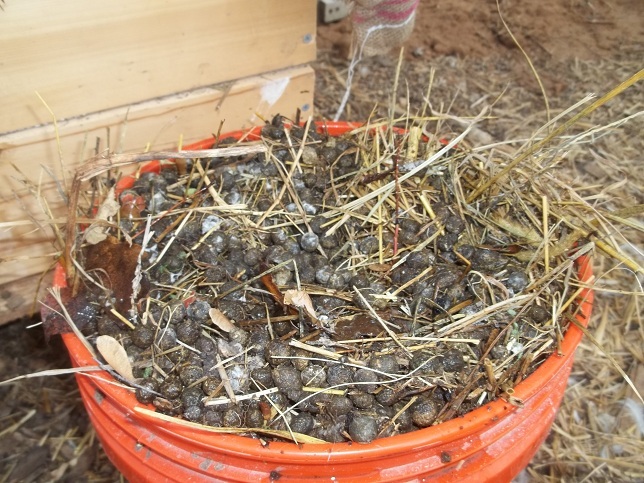 You don’t need to compost this, they are like slow-release fertilizer pellets but the worms seem to like it and it’s what I have. 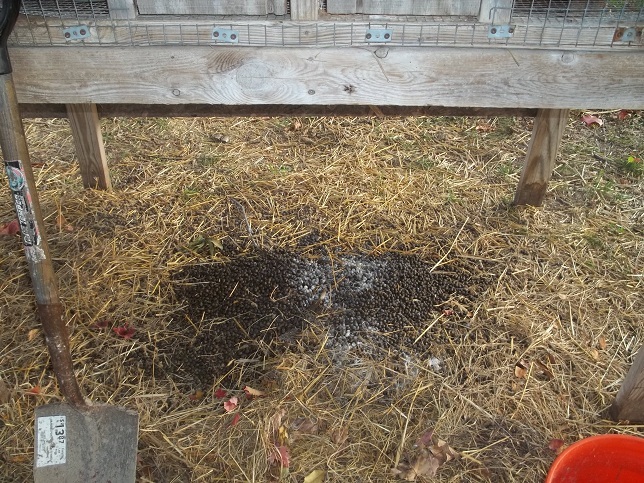 To keep the worms from being burned I drilled a couple of holes in the bottom of a bucket, filled the bucket with rabbit manure then poured a bucket of water into it. That should start the heating process pretty quickly. Once it cools I add it to a new tray or fill in spaces in older trays. The worms crawl up the stack, eating as they go, leaving their castings behind. 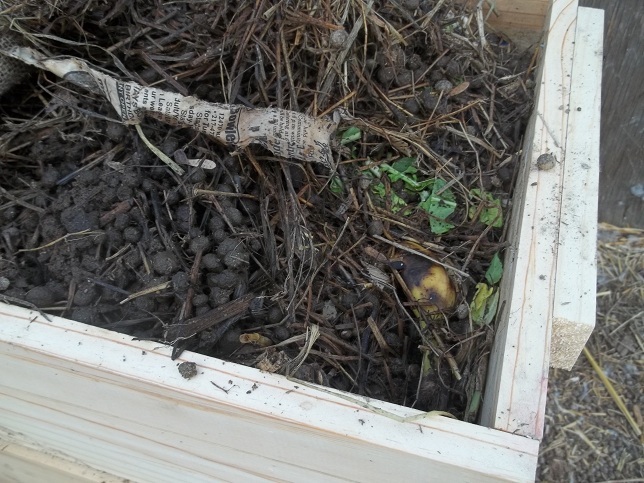 We try to fill a box each month and harvest a box each month but it varies…like all biological things. 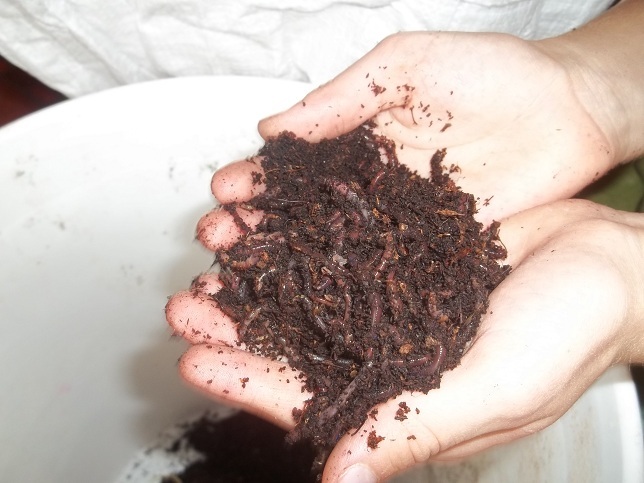 We ordered our worms from Uncle Jim’s Worm Farm. 5000 of them. They seem to do what they are supposed to do. 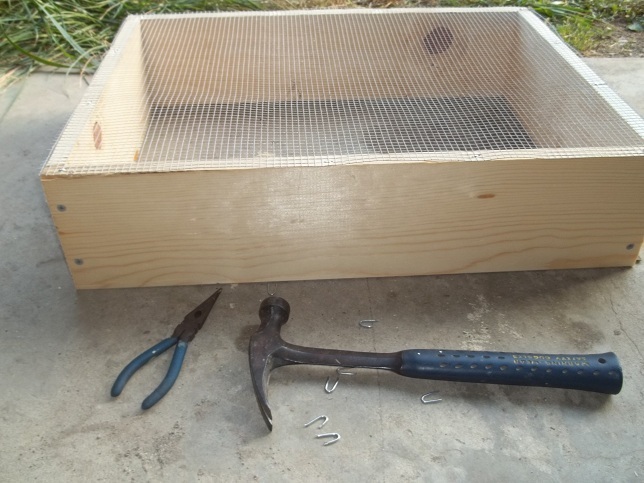 This entry was posted in Composting and tagged Worm Castings, Worm Composting, Worm Farm. Bookmark the permalink.